Holo-Or Ltd., based in Israel, was founded in 1989 to develop and manufacture diffractive and micro-optical elements for the optics industry. Presently, the company occupies 3,000 square feet of space at the Kiryat Weizmann High Tech Industrial Park. Diffractive and micro-optics is a key technology for the new generation of optical systems for communication, instrumentation, laser optics, material processing, sensors, etc. 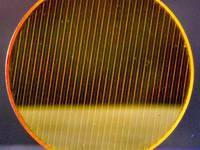 Holo-Or's technology is protected by a key patent on its method of manufacturing multi level diffractive elements.